Stainless Steel Oval Steps. 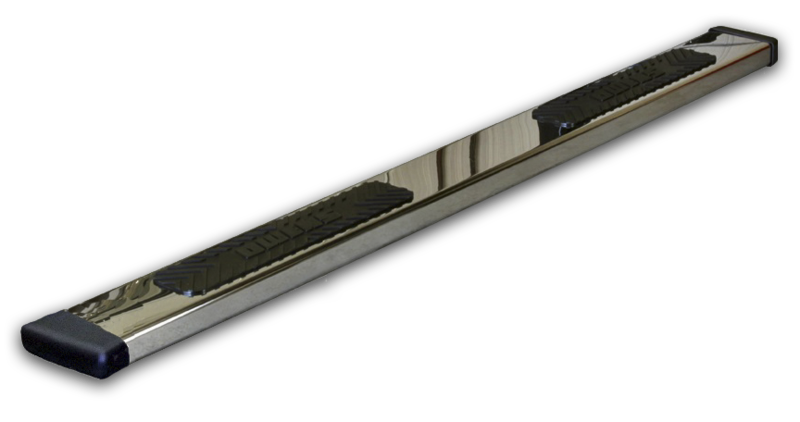 These highly polished, mirror finish, stainless steel oval steps are sure to add some bling to your vehicle. Strategically placed TPO SureGrip Step Pads provide secure footing all year round. Plastic bracket covers are included to give you that factory installed look.